Love & Company has been great at listening and really understanding our culture. They created a plan that effectively addressed our unique setting and situation, and we’re seeing great results. I consider them true partners, who are always very professional and consistently demonstrate the teamwork necessary for a marketing plan to succeed. 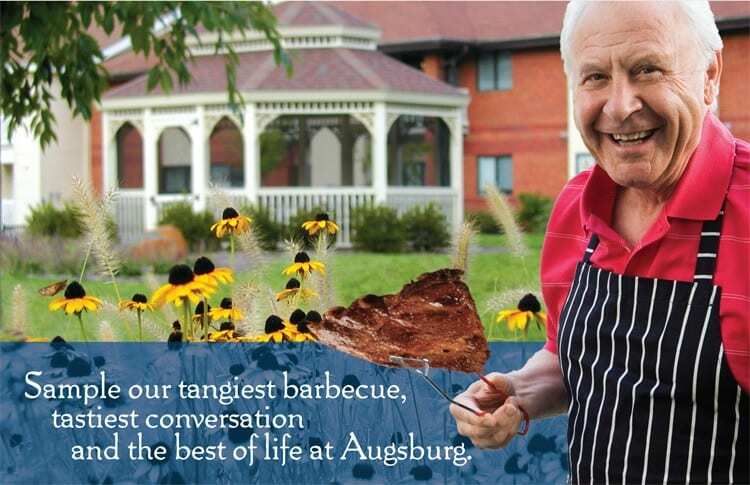 Our relationship with Augsburg Village began with a sales and marketing assessment. 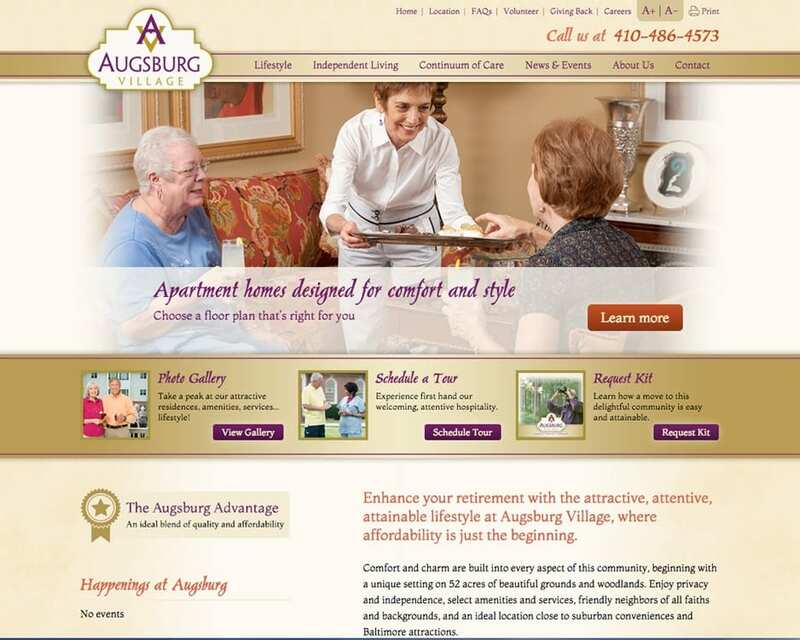 Augsburg Village has served Baltimore, Maryland seniors for 123 years. The community’s affordable pricing, strong word of mouth due to its Lutheran sponsorship and reputation for excellent care led to high occupancy for many years. The community updated its healthcare, but its independent living residences were falling behind contemporary expectations and its surrounding neighborhood was changing. By 2012, the economic downturn showed its effects, and occupancy dipped to 82%. 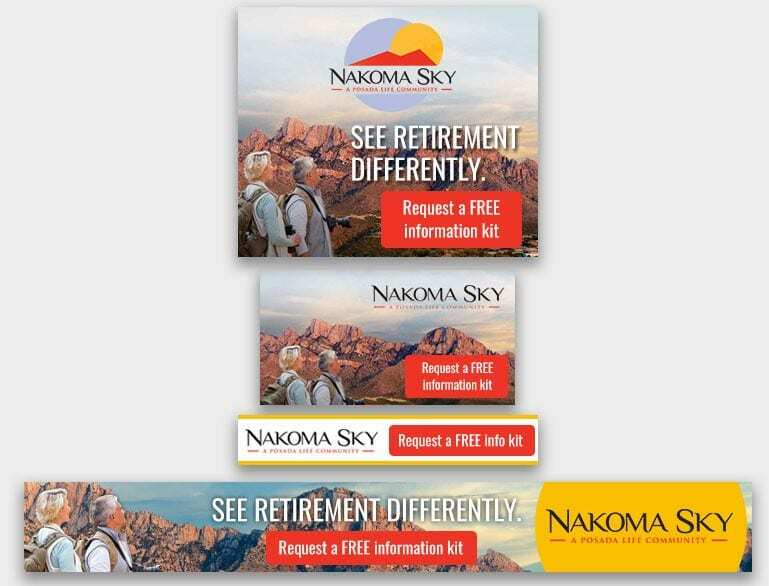 At this point Love & Company provided a sales and marketing assessment, which led to a number of initiatives, including the foundational work of a rebranding process and a more effective lead generation program. Augsburg’s old collateral relied heavily on the strength of its Lutheran sponsorship, and had little interest in showing the lifestyle of the residents or the beauty of the location. Love & Company recreated the brand to make it more accessible to non-Lutherans (shortening the name from its original Augsburg Lutheran Home & Village) and stressing the community’s greatest competitive advantages: its lifestyle, setting and affordability. A new photo shoot played a central role in the sales collateral and website, and all supporting materials, advertising and other tactics. Since launching the new Augsburg website and supporting digital tactics that complement it, website leads have more than doubled, and 28% of recent move-ins originated from website leads. Much of Augsburg Village’s market associated it with healthcare, so we created an enticing experience that would draw people to experience firsthand the community’s lively, engaged atmosphere. This event attracted people who like to participate and take an active role. The cost per lead was exceptional, and the events themselves proved very successful at leading to follow-up appointments. 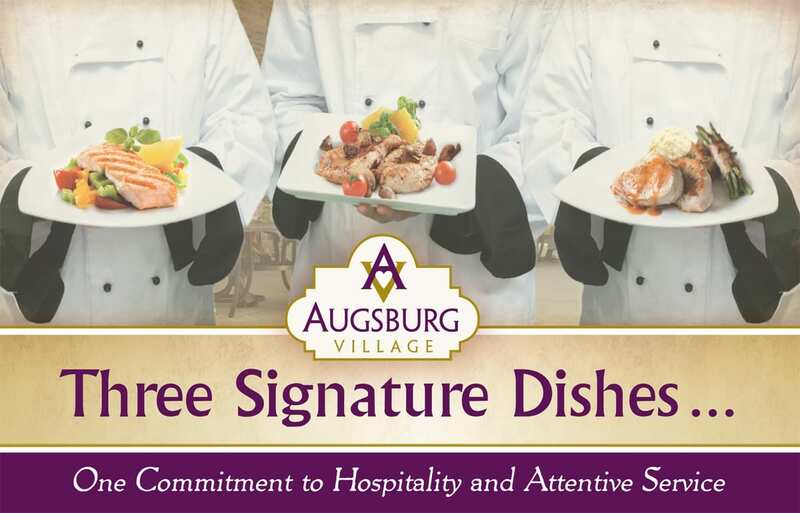 Events proved fundamental to Augsburg Village’s marketing success because our invitations did more than promise great food. The invitations conveyed real, valuable information, like this successful BBQ event. 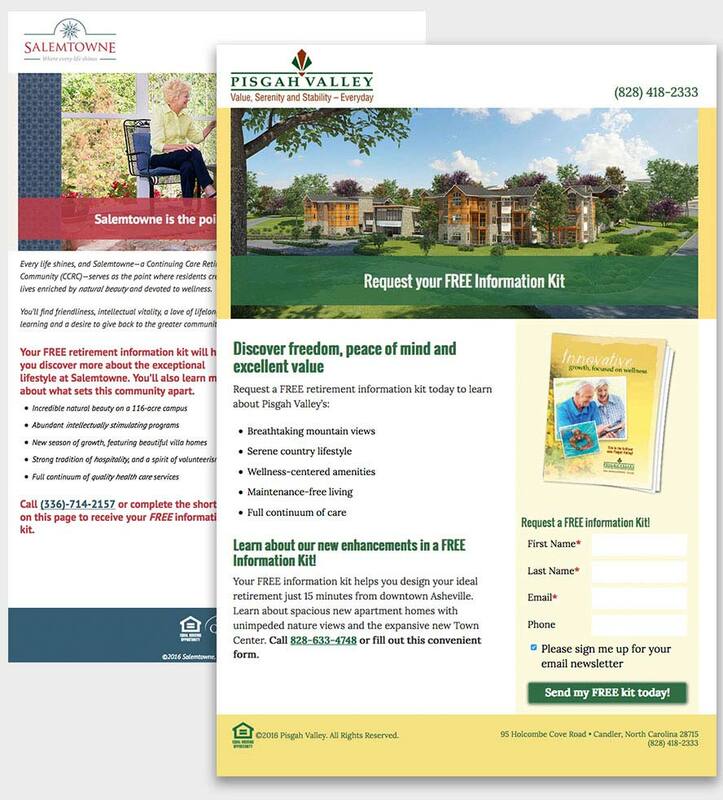 Prominent in the energizing invitation is a concise explanation of a core selling point: affordability. Attendees knew they would receive valuable information along with delicious food. When they hired Love & Company to do an assessment in the fall of 2012, Augsburg Village’s census was 82%. By the end of December 2013, census jumped to 90%. Sales jumped from 16 in 2012 to 29 in 2013. 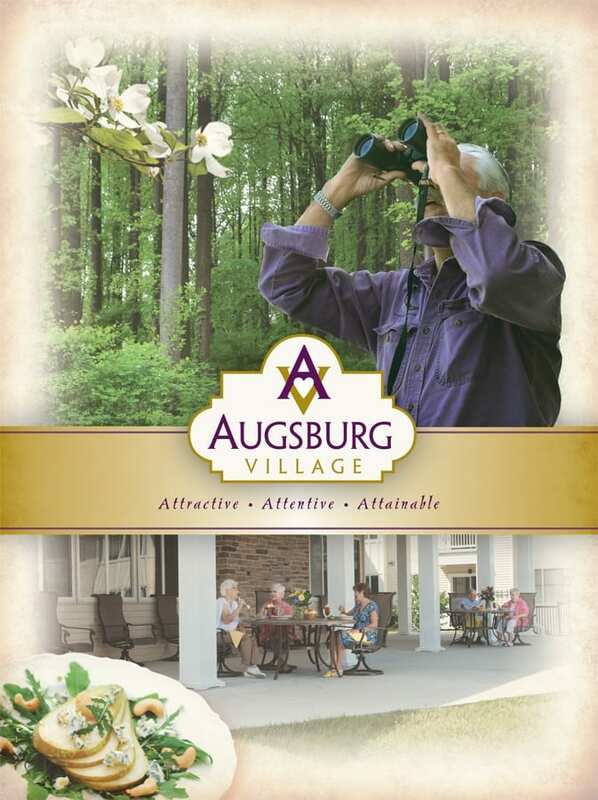 Today, Augsburg Village occupancy remains stabilized at or near 100%.